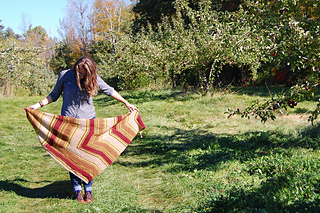 A sideways knits shawl with shifts in texture, angle, and color, all in the gently fading colors of fall (and your favorite apple!). Jill has just updated her shop with the final crop of this year’s Olana--grab some while you can! Please note: sample used most of colors C1-C3 and almost all of C4, so be sure to check gauge and buy extra quantities if you’re nervous about running out.